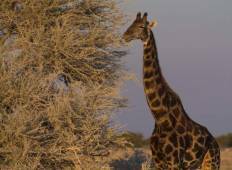 Find the perfect Safari holiday in Etosha National Park. 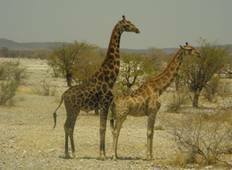 There are 243 Etosha National Park safaris to choose from, that range in length from 3 days up to 142 days. The most popular month for these tours is October. "Overall an excellent experience. The guide (KK) was essential to making it such a..."
"Abel and Francois were the Dynamic Duo under all tour guides + drivers. Informativ,..."
"We've just come back from a safari adventure in Namibia. I can't say enough good..."
"My three friends and I had an AMAZING time with Chameleon Safaris despite our robbed..."